Do you find yourself yearning for the sense of connection and feelings you had during the early stages of your relationship? Are you lonely in your marriage or relationship? In a marriage or long-term relationship, it is common to drift apart, as your lives become consumed with parenting and the daily business of running your household. You may feel your partner is no longer emotionally available or no longer cares about you. 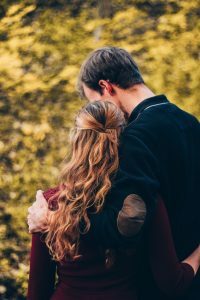 When you first fell in love, you may have felt enamored simply by communicating with your partner. In the beginning, you thought: “he’s interested when I talk”, “she gets me”, or “I open up like I’ve never opened up before”. Over time, however, this natural connection inevitably becomes more difficult to maintain. Without active work, it’s easy to drift apart and communicate less often and less meaningfully. In our work with couples, we will work to restore intimacy and connection–the very opposite of loneliness. The pressures of daily life tend to crowd out our listening skills. Over time, loneliness can slowly grow as you gradually become disconnected from your spouse. When communication breaks down you may feel lonely even when you are together. Did you notice when animated conversations about shared interests, ambitions, goals, and dreams gave way entirely to daily household business and reporting of events? Sometimes keeping up with finances (“did you pay the electric bill?”) or the stresses of parenting can take the place of real, meaningful emotional connection. Do you feel you and your spouse have become like roommates? Do you go to sleep early while your spouse stays up late? Do you work on the computer while your spouse reads or watches TV in another room? Over time, you can fall into routines that create distance, developing separate and parallel lives that erode love and affection. The lack of intimacy in a committed relationship is more about feeling disconnected our ambivalent towards your partner. When these feelings are present it is really difficult to navigate these waters. Disengagement may be caused by prior rejection, stress, financial concerns, body and self-image concerns, children worries, aging parent care and many more issues. Ayre Counseling can help you understand what may be causing your relationship difficulties and acquire new skills for better communication. Click here to read three tips to address isolation in marriage. In couples counseling, we can help you rekindle your relationship. You can build the love, affection, communication, and sharing that makes being married fun. Through our therapy sessions, we will guide you to develop skills and techniques to deepen your marital bond. At Ayre Counseling, we have helped many couples build more satisfying and connected relationships. Reach out today for help reconnecting with your spouse. Learn how to move beyond old hurts and repair your relationship. Call today to learn more about couples counseling, or fill out the contact form and click Send.